This page was designed exclusively to show the Most Easton MA Homes & *Local* Information - I've introduced my enhanced Easton Property search and have provided it free to give access to the best info New and For Sale Homes exclusively in Easton MA. My site - and this page - were created out of my and buyer's frustration with all the national real estate sites that allege to cater equally to over 25.5K+ communities in the U.S.A. ..... only to serve them all poorly. If you've been in the real estate market locally for any length of time you have countlessly called upon listing after listing, only to find they are already been sold, under a sales contract currently or no longer even for sale. Never let that happen again. This is MA's only web page dedicated only to Easton MA Real Estate - I'm extremely proud that me and my team are the highest rated local real estate team in the Easton MA and local area and we have created this tool for the Buyers or Sellers interested in local and Easton Real Estate. Please feel free to use the above search tool that has been already optimized to browse homes currently for sale in Easton, or just simply sign up for our local MLS Notifcation service and let the newest and hottest listings come to you. One simple Click above and you have instant access to every Easton Home Currently for Sale. 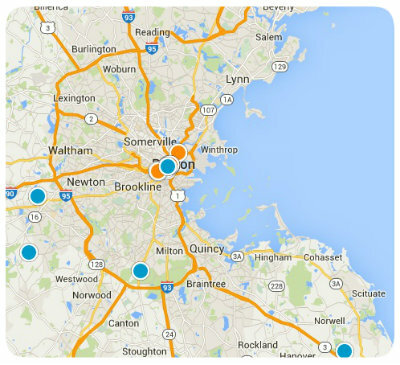 We are pleased to offer the most comprehensive Easton MA Real Estate site for your search! See your perfect home in the below sample Search from Today or in our Full Search above? Call or Text 7 days a week to 617.755.8272 for instant access or information. Sample of Easton Listings from Today!